Can You Buy Treasury Bills Within a Roth IRA? In some cases, Treasury bills can be an appropriate choice within a Roth IRA. 2. 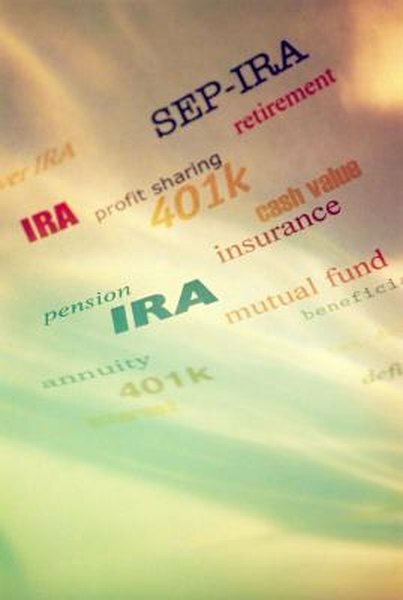 Is an IRA Withdrawal Ordinary Income or a Capital Gain? 3. What Is a Treasury Bill, a US Savings Bond & a Revenue Bond? A Roth IRA is a special type of individual retirement account. Like traditional IRAs, Roth IRAs offer various tax benefits, and can be suitable accounts for the purchase of Treasury bills. In some ways, Treasury bills are better suited for Roth IRAs than both traditional IRAs and regular investment accounts. However, there can be some disadvantages in using Roth IRA money for Treasury bills. One of the main benefits of buying an investment in a Roth IRA is that you don't pay tax on your earnings as they come into the account. For example, if you earn interest on a bond, or sell a stock at a profit, you won't have to list that transaction on your taxes as you would with an ordinary investment account. If you buy a Treasury bill in a Roth IRA, you don't have to declare the interest you receive when the bill matures, or pays off. In most cases, you can also avoid paying taxes when you take money out of your account, as long as you've had the account for at least five years and are over age 59 1/2. Investing in Treasury bills in a Roth can be problematic if you need to take an early distribution from your account. For IRS purposes, an early distribution occurs if you take money out of any type of IRA before age 59 1/2. These types of distributions result in a 10 percent penalty, plus tax on the earnings portion of your withdrawal. Since Treasury bills are free from state tax when purchased in a regular investment account, prematurely taking out Treasury proceeds from a Roth could trigger state income tax that you wouldn't normally have to pay. On top of the 10 percent penalty, the costs of this early withdrawal would be much greater than the tax you would have paid if you put the Treasury bill in a regular investment account at the outset. A Roth IRA is a long-term retirement account. Treasury bills are a conservative investment. While generally considered among the safest of all investments, the average long-term return on a Treasury bill is considerably less than many other types of investments, such as stocks or bonds. By choosing to put Treasury bills in your Roth, you may be under-investing your account over the long run, particularly if you are a young investor. One of the main benefits of a Treasury bill is its use as a cash substitute. T-bills are highly liquid, meaning there is a large market you could sell your bill to at any time if you need to raise cash. However, buying a T-bill in a Roth IRA negates this benefit, at least for younger investors. Since you can't take cash out of your Roth IRA without paying a penalty before age 59 1/2, having an investment that is readily convertible to cash can be of little benefit. IRS: Publication 590 -- Are Distributions Taxable? Can Americans Invest in a Canadian Bond? Can I Roll Over Treasury Bonds to a Roth IRA? How Long Does it Take for Series EE Savings Bonds to Reach Face Value?